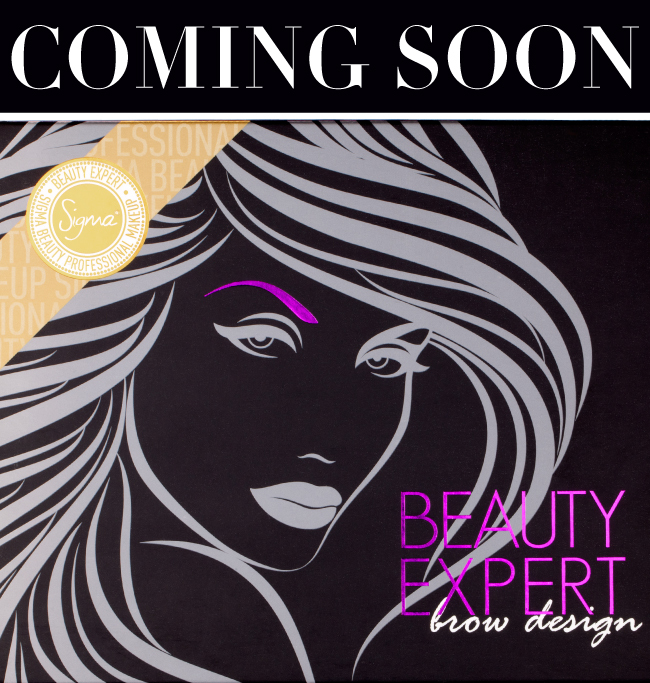 We are excited to officially introduce to you the upcoming launch of the Sigma Beauty Expert - Brow Design Kit, but we’re even more excited to disclose that this particular kit is just one of many “Beauty Expert” kits to come! The Beauty Expert kits are designed to provide everything one may need to perfectly master a specific technique or makeup task. Each kit in the line will contain all of the essential products anyone would ever need to effortlessly complete a specific part of their makeup routine. Put simply, the Beauty Expert kits are comprised of all your go-to items for achieving a beautifully flawless face! The making of the Beauty Expert line was founded on detailed research, thorough testing, and careful development to ensure our customers are receiving not only the most one-of-a-kind beauty products available, but the best quality as well. The Beauty Expert kits are unique to Sigma and do not compare to anything currently offered on the market. Love you it, You guys never seize to amaze me!! Very cool! Can't wait to see what other products you will release later! I'm so excited for the Brow Kit! Does the Affilaite get them? OMGeee, this is the perfect brow kit every makeup artist should have! posted! more kits you are in the making? OMG! AWESOME! I've shared this exciting news with my readers! I ABSOLUTELY CANNOT WAIT TO GET THIS KIT!! PERFECT EYEBROWS IS A MUST NEED! !